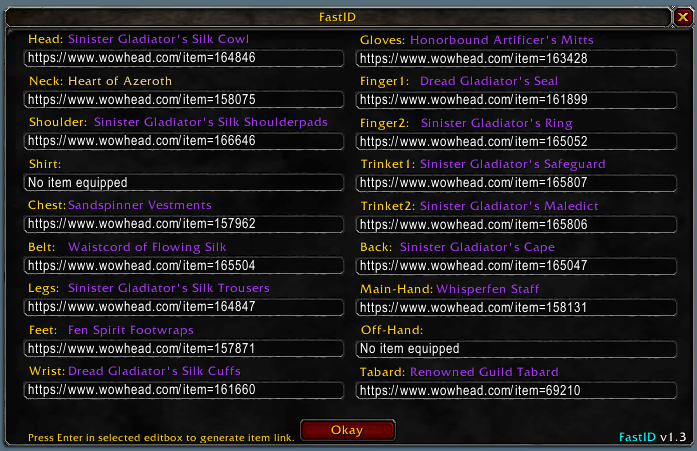 View and export character items. 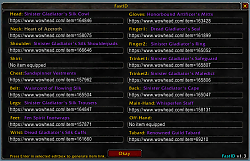 Provides character item links to view on wowhead. Added <Press Enter> script in selected editbox to generate item link.